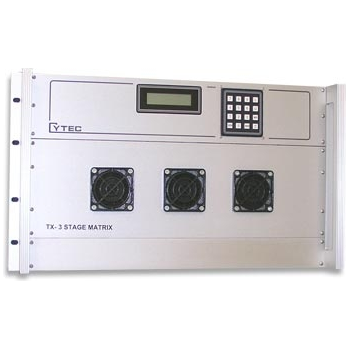 TX Series - Cytec Corp.
Cytec's TX Series Three-stage Matrix Switching System is a completely non-blocking and full fan-out. Available in configurations for 16x16 to 128x128 with a bandpass to 140 MHz. The system can handle a wide variety of 50 and 75 ohm signals.